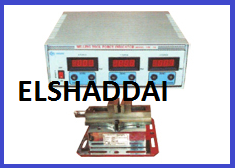 Providing you the best range of bore gauge, electrical comparator, bevel protector, floating carriage micrometer, mechanical comparator and speed measurement trainer with effective & timely delivery. We are suppliers of Bore Gauge. 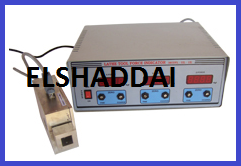 Electrical comparator is a fine measurement- comparison equipment used for checking length/ diameter of a component using a gauge block as a standard . LC:5Min, it is capable of measuring from 0 to 360°. the vernier scale has 24 divisions coinciding with 23 main scale divisions. thus the least cout of the instrument is 5. 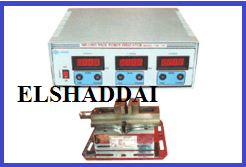 The scale may be calibrated by means of gauge block (slip gauges) to indicate any deviation from an initial sitting. Comparators using this type of linkage have sensitivities of the order of 0.25 micron per scale division. 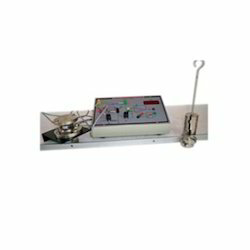 We offer an extensive range of Speed Measurement Trainer which comprises of a DC Motor, which is fixed rigidly on a strong metal stand. 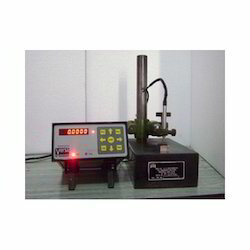 It is equipped with four digit digital tachometer is provided along with the above setup which is calibrated to read the speed up to 1500 RPM. 300(L) X 28(B) X2.5(T) in mm. 3½ digit to read upto ±1999 counts. · up to +/-1999 counts. The Michelson Interferometer is a superb instrument for measuring the optical properties of a medium. 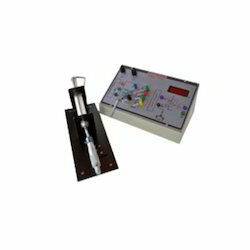 Michelson Interferometer based on Model developed by Hilger & Watts (London)It is divided into two parts. 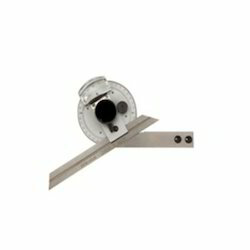 c) Optical Mirror Mount: Kinematic mirror mounts are to hold the mirror which be aligned in to orthogonal direction by means of screws provided at the rare of the mount. With 400 to 1100 RPM speed. 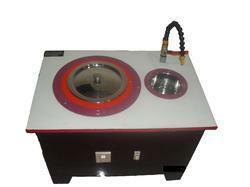 Machines offered by us are very sturdy in construction and accurate in dimension. 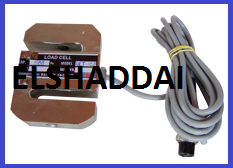 To measure the force using load cell. Force is one of the major derived parameter having fundamental dimension of mass length and time. It is a vector quantity which, when applied result in a change of momentum in a body. Basically mechanical force is created due to variation of started potential energy. To measure the displacement using LVDT. 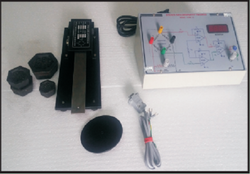 LVDT is enclosed in mild steel enclosure with arrangement of two hexagonal nuts that can be rotated clockwise or anticlockwise to set reading on display to 00.0 at 10 mm position on micrometer. LVDT core is attached to the micrometer spindle. 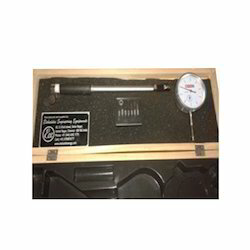 Micrometer: The micro-meter provides displacement to the LVDT core. The displacement suffered by core is indicated by 3½ Digit LED display in mm. 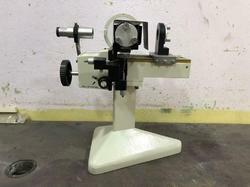 It will be same as read on micrometer. The main scale of micrometer (sleeve) is of 25 mm. Least count of main scale is 1 mm. Circular scale on Thimble is of 1mm with least count 0.01 mm. 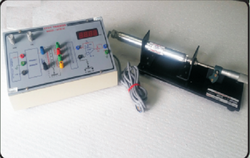 Torque Measurement Trainer comprises of strain gauge based reaction type torque transducer, fulcrum arm of 1 M length with L angle to mount the sensor, Pan & weights with digital torque indicator to read the torque in Kg-m.
We are suppliers of Light Dependant Resistance Measurement Trainer L.D.R. 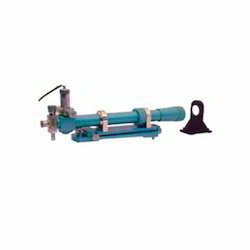 Trainer comprises of light dependent resistor (LDR) fitted to the shaft, which moves inside the tube where lamp is fitted at the other end. 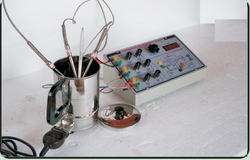 Variable DC voltage source is provided to vary the light intensity. 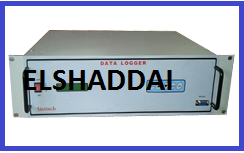 Digital indicator is supplied to measure the light intensity in terms of distance moved between LDR and light source. 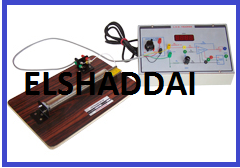 Elshaddai’s Tool dynamometers to measure cutting forces on various machines like lathe, drill, milling machines. 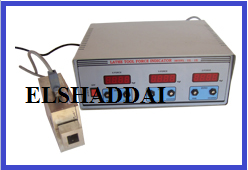 All three direction forces are measured simultaneously and displayed. 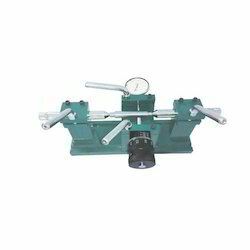 Tool dynamometers are useful to study, analyse the optimum feed, speed and depth of cut on different materials. 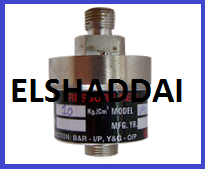 The dynamometers are also available in various capacities as per customer requirement. 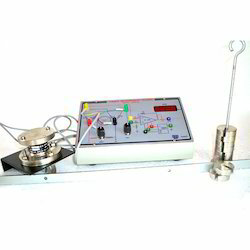 : Signal Conditioning for Pressure and K-type Thermocouple inbuilt. : RTC is provided with Battery backup. Stop bit :1, Flow Control : None. : 230V +/-10% @ 50Hz. 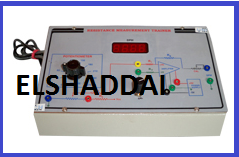 Resistance Measurement Trainer comprises of potentiometer to vary the resistance with respect to the angular displacement with digital indicator to read the resistance change in the potentiometer. 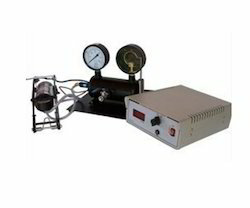 Looking for Metrology Lab Equipment ?